LNG-Powered ships are nothing new to the international shipping industry. However, in the coming year or so, the popularity of LNG-Powered ocean freight vessels will skyrocket. Surveys of international shipping constantly find that the usage of LNG-Powered ships continues to increase. This includes vessels where LNG, which stands for Liquefied Natural Gas, is the primary source of fuel. Major shipping carriers around the world have shifted some of their ships to LNG-power. The list includes shipping heavyweights like Crowley, Jones Act carrier TOTE and Harvey Gulf International Marine. 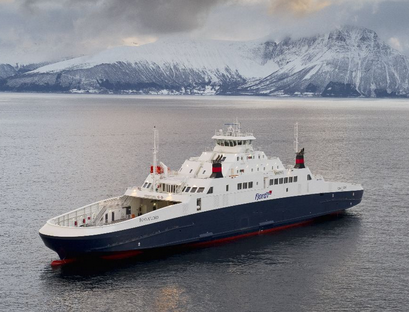 The reasons for the change to LNG-Powered ships are obvious. In essence, LNG-Powered ships are more capable of fitting the new emissions standards. For example, these cargo vessels maintain a dramatic reduction in CO2 and other dangerous emissions, which are normally harmful to the environment and to people. In the coming years, new fuel regulations could diminish the freight shipping industry. But the LNG-Powered ships presents an opportunity for carriers to survive any possible problems with regulations. In addition, liquefied natural gas prices are lower when compared to other fuel sources. So if carriers switch to LNG-Powered ships, their expenses will drop. And then their ocea​n container shipping quotes could be lower as well. Freight forwarders support LNG-Powered ships, and many freight forwarders are aligning themselves with carriers who are switching to LNG-Powered ships. That way, freight forwarders can offer lower shipping rates to their carriers. LNG-Powered ships will continue to grow and have a big impact in the shipping world.